Henry Holt and Co. (BYR), 9781250124401, 32pp. Now that they're big kids, it's time to use the potty. But what is the potty for? Margaret McNamara is a Christopher Award–winning author for young readers. She is best known for the Mr. Tiffin's Classroom picture books and the Fairy Bell Sisters chapter books. 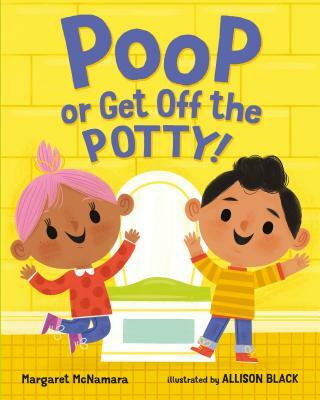 She is the author of Poop or Get Off the Potty, illustrated by Allison Black. Margaret and her family live in New York City. Allison Black is an illustrator, designer, and the founder of the stationery company Hip-Hip. She lives in Columbus, Ohio, with her husband and son, who they will be potty training soon! Her books include Poop or Get Off the Potty!